Not only do I talk about Minimalism on the blog, but I talk about my Minimalist Lifestyle to people like you too. My minimalist experiences, my thoughts on the future of minimalism, why the UK lags behind the USA in terms of adoption, all those things and more, I’d be happy to talk to you about. If you’d like me to appear on a panel, as a guest speaker on minimalism, or just to give me hard questions to answer. 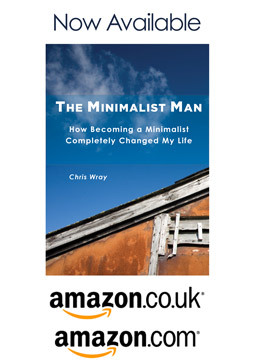 I’ve made comments in magazines in the UK and elsewhere, featured as a contributor to books and journalist articles, and spoken about minimalism on BBC Radio and BBC Capital website. Some recent contributions on the subject of minimalism can be found below. The Telegraph newspaper – on the journey to minimalism. BBC Radio 4 – on digital clutter. Enjoy Life Slowly – on a wide range of minimalist topics.